As the world’s largest online retailer, when Amazon invests in new material handling technology, the industry stands up and takes notice. The company made waves for its 2012 acquisition of Kiva Systems, a warehouse robotics firm. Two years later, the Kiva team — now branded Amazon Robotics — introduced its first automated system. Today, Amazon uses more than 100,000 robots in its vast global warehousing operations. Amazon’s use of robotic warehouse systems begs the question of whether or not this is a trend other retailers will adopt. While there’s no question that warehouses in the future will be more sophisticated and technologically integrated, the use of robotics still poses some challenges. What Will Be the Role of Human Workers? One of the most common anxieties around the use of robotic warehouse systems is the fear that they will replace human workers entirely. It’s easy to imagine a future in which robots have phased people out of manual labor jobs, but so far, there’s no evidence to support this. In fact, since 2014, Amazon has hired more than 80,000 warehouse workers in the U.S. alone. What’s more, employees whose jobs have been replaced by robots have been given the opportunity to train for higher-level positions, or moved to other roles. 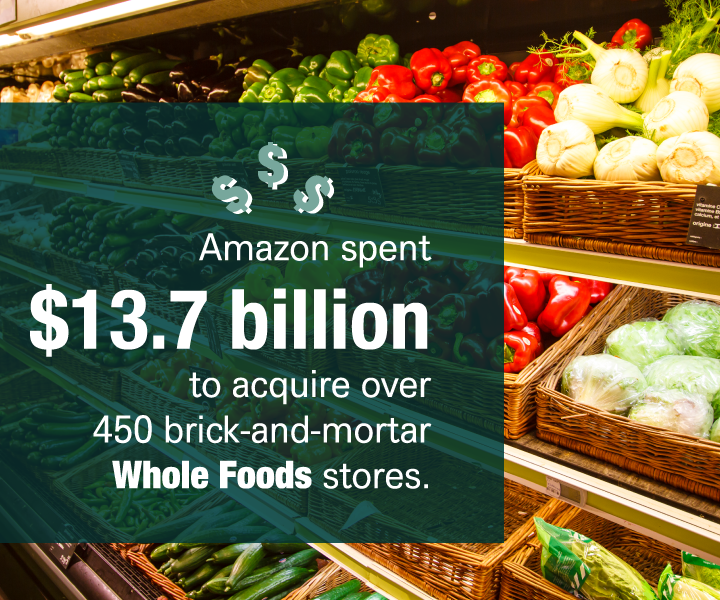 Some of this is simply a reflection of Amazon’s strength in the industry. However, there’s also an argument that automation helps the company resist the lure of outsourcing. By keeping costs down and moving humans into more supervisory positions, finding skilled workers becomes a more important priority than finding cheap labor. This, in turn, makes local economies stronger and more sustainable. Amazon’s warehouse robotics and smart conveyor technology is some of the most advanced today, but it is unable to complete order picking without human help. The problem is grasping — as of 2017, machines are very good at raising and transporting heavy loads, but they are unable to grab and lift items off of a shelf. In tests, humans have consistently proven faster and more effective at order picking, particularly in warehouses that process high volumes of differently sized items. In addition to its internal R&D, Amazon Robotics is actively encouraging outside firms to solve this persistent challenge. For the past three years, the company has sponsored an annual competition at RoboCup, an international engineering competition held most recently in Nagoya, Japan. The event, called the Amazon Robotics Challenge, featured more than $250,000 in prize money in 2017, which was awarded to participants whose robots proved most effective at simulated order picking in conditions that resemble an Amazon warehouse. So far, none of the impressive technology showcased at the Amazon Robotics Challenge has made it to the company’s facilities. To complete order picking in all but the simplest conditions, it will be necessary to develop more advanced sensors and touch controls. However, if Amazon’s interest in solving these challenges is at all indicative of what the modern warehouse looks like, it’s only a matter of time before sophisticated robotics systems become a part of warehouse automation industry-wide. Polymer Solutions International, Inc. manufactures a range of different products that are easy to clean and built for long-term productivity. Keep browsing our website to explore your options or start a Live Chat session with us online or call us directly at 610-325-7500 for assistance.